This ministry is geared to encourage women in both a practical and powerful way. 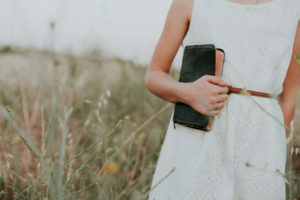 With a heart to bring women into all that God has for them, our women’s Bible studies, conferences, and times of fellowship encourage women to walk in the gifts and calling that God has put on their life. Our desire is to see women grow together in all aspects of life. We value the importance of relationships and pray, that as women of God, we encourage one another, sharpen each other as we become more like Christ, have fun together and enjoy the simple act of doing life together. There are many ways to get involved with our Women’s Ministry. We would love for you to join us as we pursue God together and help each other along the way. No matter where you are on your walk with Christ, we’d love to come alongside you. Throughout the year we have other social events such as a ladies spring tea, Christmas Party, Women’s Brunch, and more! Stay connected for more information about upcoming events. See the Events calendar for more information! Something happens when women gather: at a wedding, for a baby shower, a playdate, grading papers together, lunch at the office, a girl’s night out, or for a coffee date. But some of the most memorable gatherings for women have centered on the Word. We kicked off our first Women’s “Gathering” on Friday, September 14th and will continue every other month. There will be a time of worship, teaching, testimony, and prayer/ministry. We pray that this be a night of praise, equipping, discipling, releasing, and also a time where we grow together deeper in our relationships with Him. May we, as women of God, walk in the fullness of Christ, be free in His Name and “gather” all for His glory. Invite a girlfriend, bring your Bible, and come ready for a night all for His glory. For more information about the Women’s Ministry contact Brittnee at brittnee.willoughby@gmail.com. Ladies Fellowship-Dinner Out: Monday, April 29th at O’Charley’s in Christiansburg. Join us for a dinner out and time of fellowship with other ladies at Tried Stone Christian Center. Menu & pricing are available online at O’Charley’s website. Feel free to invite another woman who may not already attend TSCC. Please RSVP in church foyer or by emailing “secretary@triedstone.cc” with “RSVP to Ladies Fellowship” in subject line.